Sonoran Property Inspections provides a visual inspection to identify the general features and major deficiencies of the property in accordance with the Standards Of Professional Practice for Arizona Home Inspectors. Our program has been designed to give you an easy to understand overview of the conditions of the home. We inspect and report on hundreds of items and provide a thorough computer-generated report the same day as the inspection. We identify any major expenditures coming up so that you may budget for them. We also identify potential safety hazards. We will help to educate you on how the systems work and review and explain any conditions found. Site: grading,drainage, retaining walls, walkways,driveways, patios, decks, porches, fencing and gates. Structure: exterior walls, parapets, trims, chimney, foundation, slabs, basements, and crawl spaces. 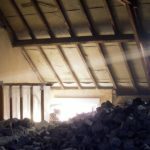 Attic / Roof: access to attic, insulation, ventilation, framing, roof surface, flashings, penetrations, drainage, overhangs, gutters and downspouts. Garage: overhead vehicle door, opener, fire separations and floors. Plumbing: main piping, distribution piping, waste and vent piping, fuel system, water heater, laundry connections. Heating / Cooling: type of system, condition, distribution / duct system, filters, thermostat. Electrical: service entrance, capacity, panels, circuitry, wiring, outlets and switches. Interior: doors, windows, flooring, walls, ceilings, fireplace, closets and stairs. Kitchen: cabinets and counter tops, built in ovens, garbage disposals, dishwashers, ranges, sinks and faucets. Bathrooms: cabinets and counter tops, sinks ,faucets, tubs, showers, toilets, ventilation , floors and doors. Pools and Spas: shell, decks, filter , pumps, visible piping, blower, electrical, heater and related safety issues. Wood Destroying Organism (termites): we use a State Licensed quality company to inspect, treat and maintain your home against subterranean termites. We will schedule this service at the same time we do the inspection and make sure the paperwork gets to the right place. If service is needed, we can arrange for that as well. Can a home fail an inspection? Not at all. The home inspection is a visual examination of the current condition of your prospective home. It is not a code inspection which verifies local code compliance, or an appraisal which determines local market value. The home inspection simply addresses the physical condition of the property and what might need repair or replacement.